Architizer began as a platform to tell the world about the best architecture. The sections of that are relevant to that mission continue to be strategically important to Architizer’s business. Before leaving Architizer, I was tasked with taking my knowledge of our audience, data, and strategic goals to reimagine Architizer using the design language developed for Architizer Source. The news feed is also the platform homepage. When I set out on the redesign of this page, I focused on making the Architizer brand extremely clear to the user. This was a moment where we could check back in on the status of the Architizer brand and re-introduce it in an elegant way. I also set out to make each object from the database that our editors chose to surface to the home have a unique design. This way, the user can better understand what they are looking at. The article page needs to be able to handle photos, text, and related content in a captivating yet usable way. These pages jumped into from social media or the news feed in a repeated way. The pages are more often skimmed than not, so pull the design in the direction of feeling simple, so the user would be able to navigate through the hierarchy of the page without hesitation. Project search is one of the most important pages on Architizer. The current implementation of project search was designed around the design enthusiast audience, but we've found that professional architects are more likely to use this page for their work. So the design tried to allow the user to view as much content as possible at any given point. I also used a more streamlined yet powerful filtering navigation structure. The project view is the single most important page on Architizer, both in terms of representing our most valuable data, and in terms of traffic. The architectural photography is the most important and expressive asset, so I used a masonry grid structure so the photos would no longer be cropped. I also gave the page a structure that would more easily emphasize related content on Architizer. While projects are currently the most important aspect of Architizer's content portfolio, there's a hypothesis that being able to search for specific photos across projects could be a more visceral experience. 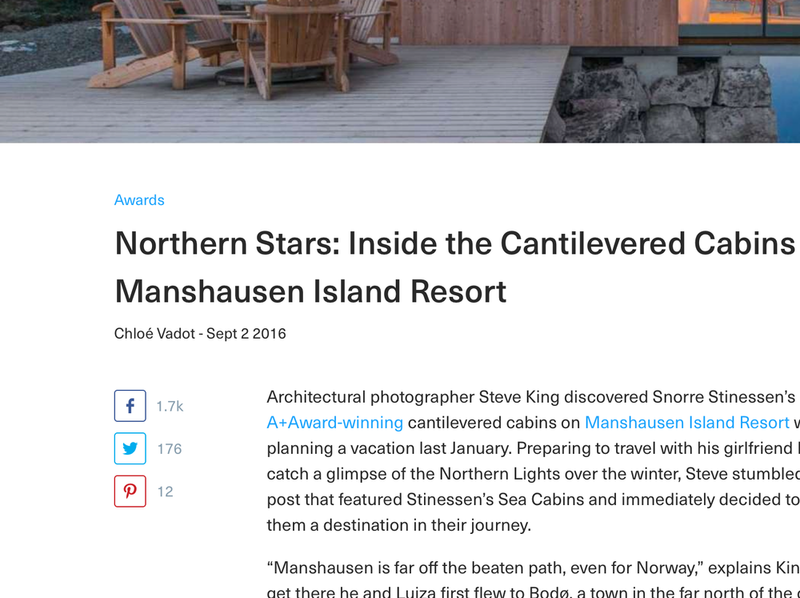 This page takes the lessons of other search experiences on Architizer and optimizes it for photos. 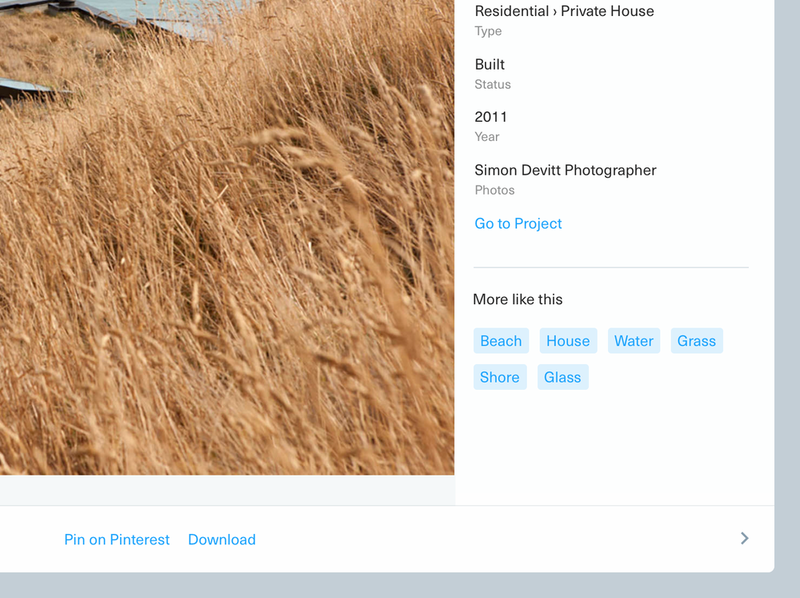 Housing photos in a modal experience would allow users to browse photos without having to leave the search experience. 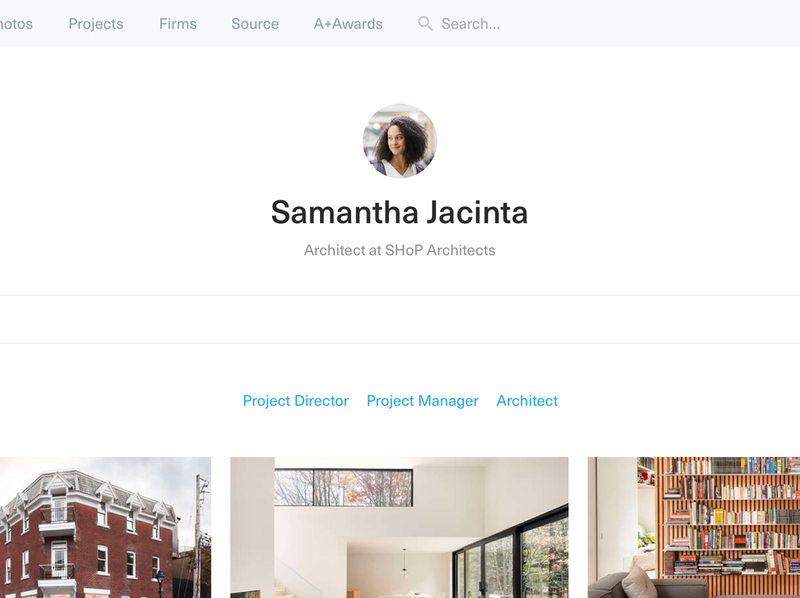 I reimagined the user profile view as a way for professionals in the architecture and design industry to showcase their work. This would be one way that Architizer could motivate members of architecture firms to provide more context and data around the projects that they upload.